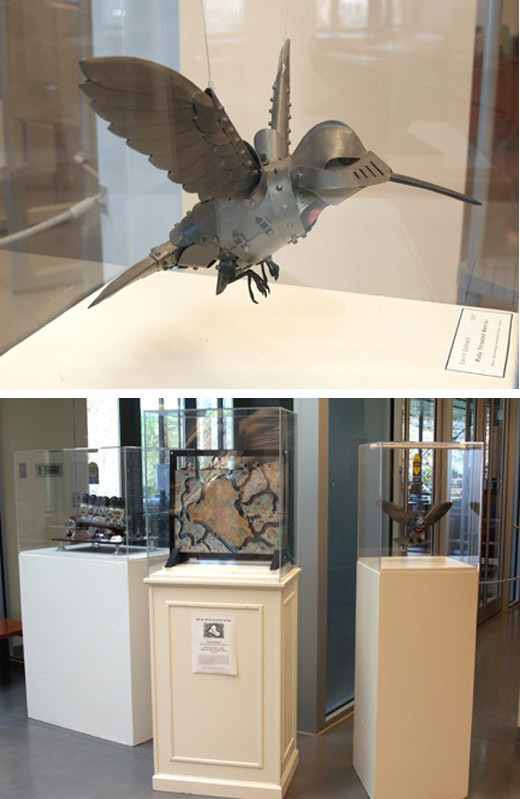 My three anti war sculptures are displayed together in the lobby of the Skillman at Lafayette College. The close up is of the "Ruby Throated Warrior". When working on them they felt entirely separate from one another, but now they feel in concert together (see more in my "non illustration stuff" category). Reminder for NYC Drawgers....tonight is the Draw-a-thon at Pratt (see my earlier article). Jos A. Smith & I plan to be there and fill up a few sketch pads. 16 models! I died and am going to life drawing heaven!